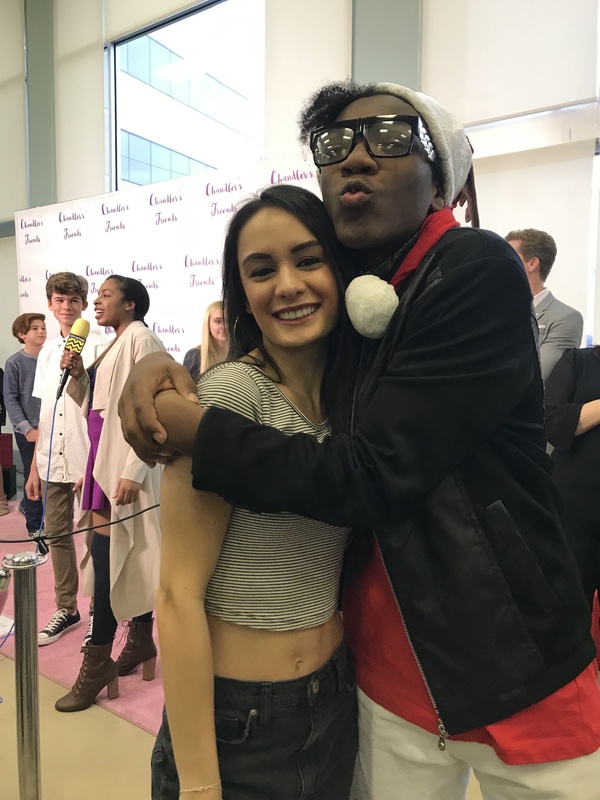 VIPAccessEXCLUSIVE: Jaheem Toombs Interview With Alexisjoyvipaccess At Chandler Kinney’s Gift-wrapping Event! He’s multi-talented, super charismatic, and a total king — meet the one and only, Jaheem King Toombs. We could go on and on about how much we adore the remarkable Jaheem Toombs. He has the amazing ability to be able to put a smile on everyone’s face and he could definitely turn a person’s frown upside down instantaneously. The wonderful Jaheem Toombs first stole our hearts with his fan-favorite and terrific role in the hit Nickelodeon show, 100 Things To Do Before High School. Jaheem Toombs brought so much fun and laughter to the show and we truly enjoyed every minute of seeing him on our TV screens. Now, Jaheem is continuing to take over the entertainment world by storm and he has been releasing some incredible music we all have been listening to on constant repeat. His single, “Superpower” just goes to show that he truly is a superhero himself. Jaheem Toombs can truly do it all – from acting to singing to spreading his positive vibes to everyone around him. With more new music and exciting projects in store, we know that 2018 will continue to be Jaheem’s year to shine. I, Alexisjoyvipaccess had an excellent time covering Chandler Kinney’s gift-wrapping event and had a fantastic time catching up with and interviewing the phenomenal Jaheem Toombs again at the event. Jaheem Toombs dished exclusively to Alexisjoyvipaccess all about his new music, his New Year’s resolution, and so much more only in our VIPAccessEXCLUSIVE updated interview. Jaheem Toombs even sent out an awesome message to all of his fans – hear what he had to say in our VIPAccessEXCLUSIVE interview below. Thanks for another great interview, Jaheem! Check out my updated VIPAccessEXCLUSIVE interview with the exceptional Jaheem Toombs at Chandler Kinney’s gift-wrapping event below! Previous VIPAccessEXCLUSIVE: “Lethal Weapon” Star Andrew Creer Interview With Alexisjoyvipaccess At Chandler Kinney’s Gift-wrapping Event! Next VIPAccessEXCLUSIVE: Aubrey Miller Interview With Alexisjoyvipaccess At Chandler Kinney’s Gift-wrapping Event!